British Airways Cancelled Flight – Make A Claim! If you have had your flight cancelled by British Airways then the great news is that you could be entitled to compensation under the EU 261 Regulation. 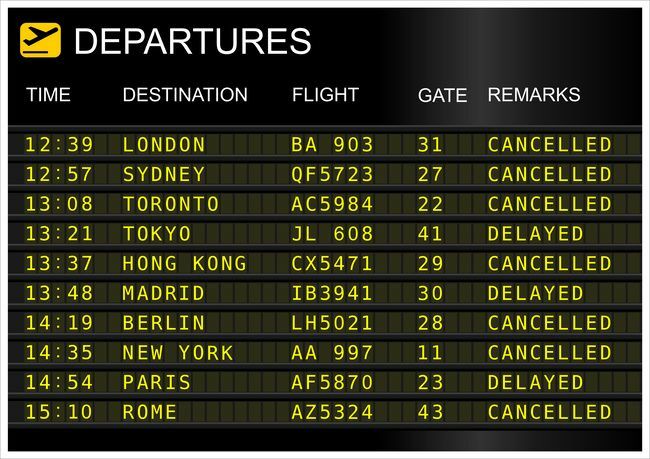 There are differences between a delay and a flight cancellation, so if you are seeking compensation from BA due to a flight delay, then check out our BA Flight Delay Compensation page. As this will explain your rights specifically related to delays. If your flight has been cancelled less than 14 days before you were due to travel then there is a strong chance if you made a claim for compensation, you would get it. We have devised a flight compensation calculator, that will work out everything for you. Once the compensation amount has been calculated, you can then decide if you want to pursue a claim by yourself or if you would like a professional claim specialist to represent you on a no win no fee basis. However there have been numerous instances were the airline has ignored the claim or delayed the process in the hope that you become frustrated and give up. There are also instances whereby you may have to pay the courts to get an official hearing in order to get the compensation you are entitled to. One of the benefits of using a claims specialist like Air Claims is that should your case go to court, the claims specialist would pay the fee for you. There is a full page dedicated to their cancellations process on the BA website, you can find out about British Airways Flight Cancellations here, should you wish to proceed to represent yourself.